Living upstairs from my grandmother, I had the opportunity to spend hours with her in the little basement kitchen below our family’s three-tenement apartment house in Fall River, Massachusetts. 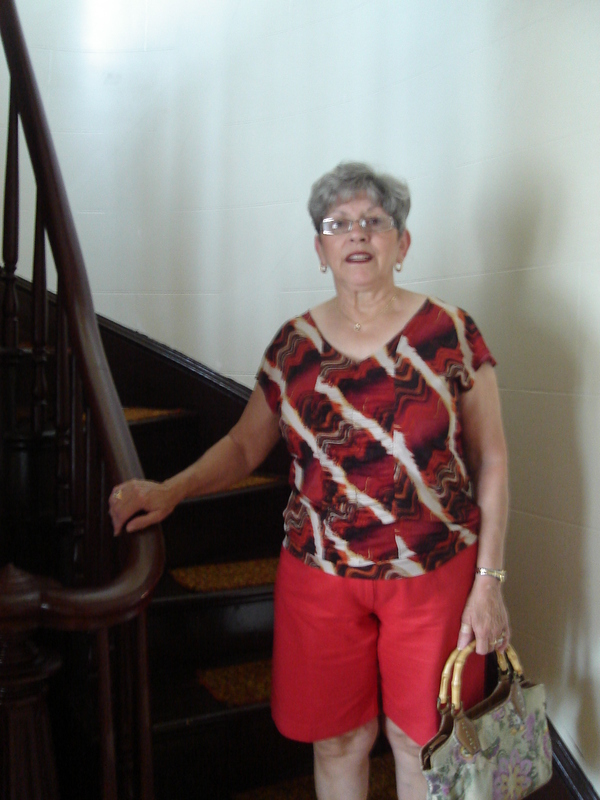 As many grandchildren do, I gleaned much from my grandmother. We both thought alike. During breakfast we’d discuss our plans for lunch and during lunch we’d discuss our plans for dinner. 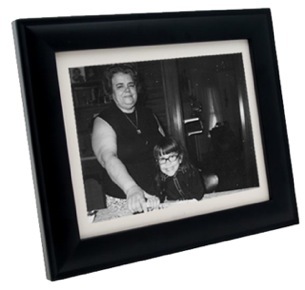 One of the reasons I loved being with my grandmother was because she loved me just the way I was. Just before the age of five, a devastating speech impediment veered its ugly head and I was unable to speak correctly until about the age of seventeen. Many people have told me that I have made up for it over the years! School was a daily challenge for me. Having to read aloud daily in almost every class became increasingly stressful. What I learned most from school was how to survive. Over the years my parents saw to it that I had the best speech therapist offered in our city. My mother knew how difficult stuttering was because she had suffered with the same problem as a child. As a child I’d make my way downstairs to Vavo’s kitchen every day. I’d watch as she quietly prepared meals. 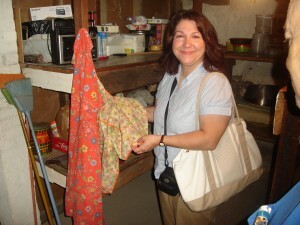 It was in this little kitchen that a large part of my love of people and food was nourished. 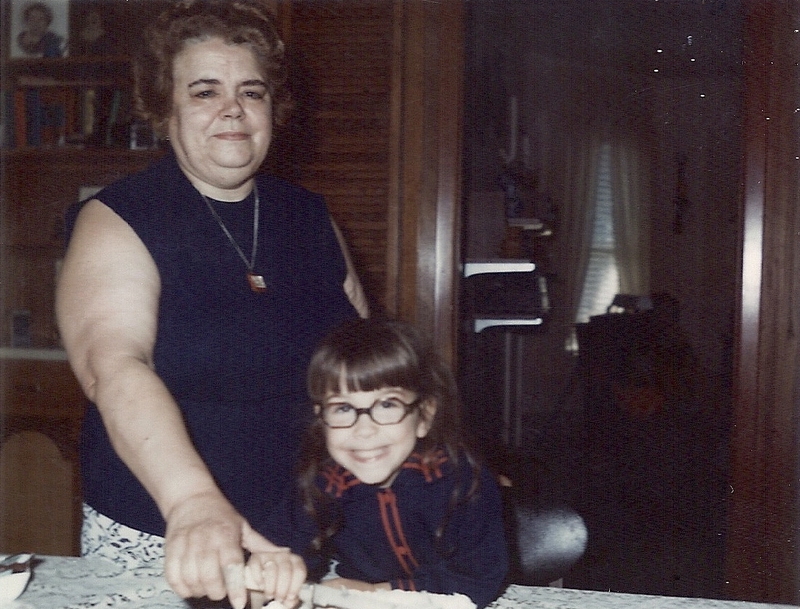 Since my grandmother’s death in 1990, I could never get myself to return to her home. A quick drive-by and a glance of the exterior were as much as I could do. 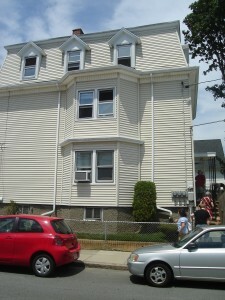 At the age of twenty, I moved into my own apartment across the street from my grandmother. Guess I couldn’t get myself to move too far! I still spent a great deal of time with her. In the spring of 1990, my grandmother would travel for her yearly visit to her homeland of Portugal. My grandmother loved to fly and she loved visiting the little house she’d given away to family in the Azores. While in Portugal my grandmother spent her days feeding people. 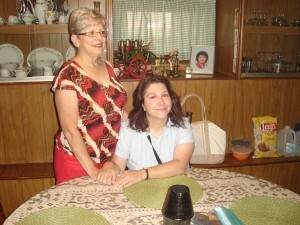 My grandmother was scheduled to return home, but not before one more dinner party. Towards the end of the evening my grandmother had a massive heart attack. Her body was brought back to the states and a proper funeral was held for her, but not before the people of the Azores had their chance to say goodbye. Two weeks later my grandmother returned to her children and grandchildren in Massachusetts. Shortly after my grandmother’s death I married the love of my life, Michael Johnson, right after he graduated from engineering school at Worcester Polytechnic University. We started our married life in Poughkeepsie, New York. 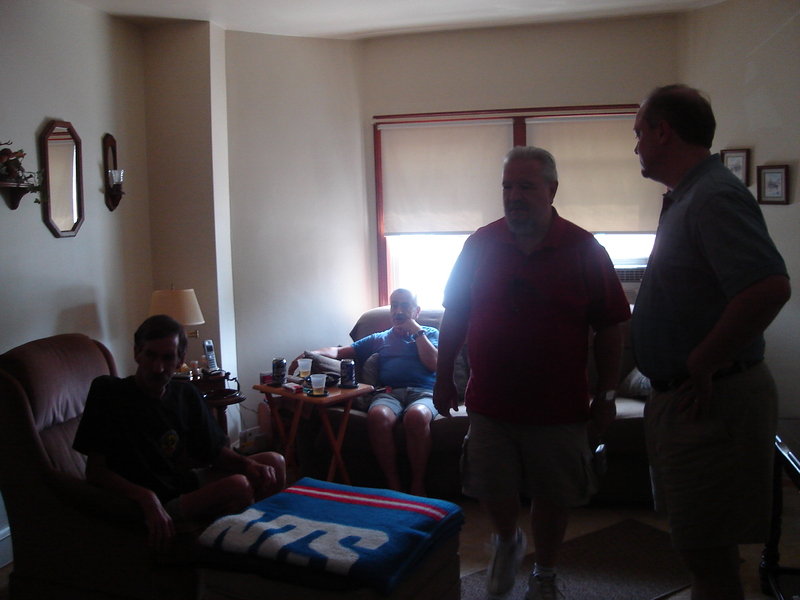 After twenty years, I gathered up enough fortitude to visit my grandmother’s home this summer. Both of my parents, Ed and Mary, my husband Mike, our sons Nathaniel and Alexander, Nathaniel’s dear Amanda and myself drove up to the house. My Uncle George was surprised to get the call when we were on our way. I was not at all surprised by the condition of my grandmother’s house. Due to my Uncle George’s extraordinary care, the home I loved growing up in was like a museum. 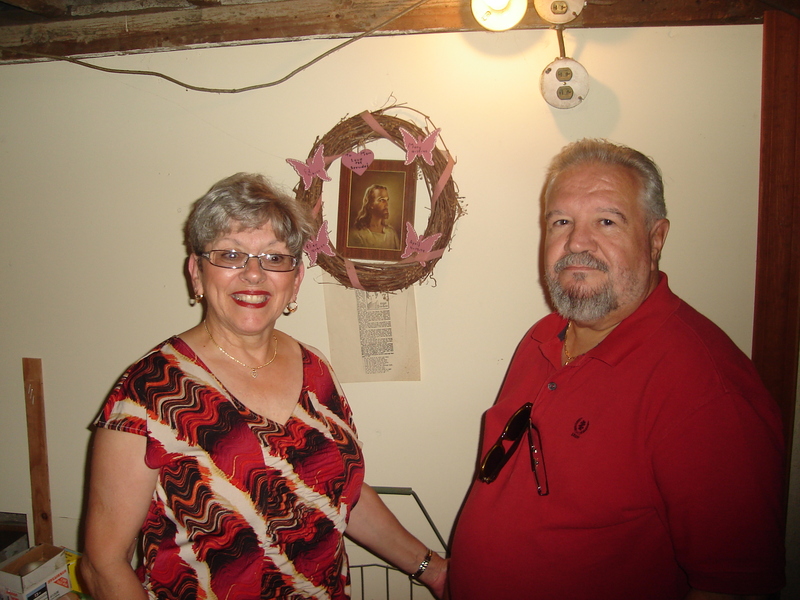 My grandmother was a woman loved beyond measure and my uncle saw to it that the house was not only exactly like my grandmother Isabel had left it, but that it was immaculately well-kept. This warmed my heart, particularly because my uncle has been so ill suffering from congenital heart failure. As we walked up to the house I noticed that the tiny strip of thick, green grass behind the aluminum fence was trimmed to perfection. American flags were lovingly placed in front of the house in celebration of our country’s independence. As I walked up the concrete steps, I opened the tiny aluminum gate just as I did as a child. My heart began to beat a little faster and my hands got a little sweaty. Fond memories of the house I grew up in and the woman who touched my life so greatly came flooding back. The tears that welled up in my eyes were almost uncontrollable. Walking into my grandmother’s home was like stepping back in time. Everything was exactly how she’d left it. 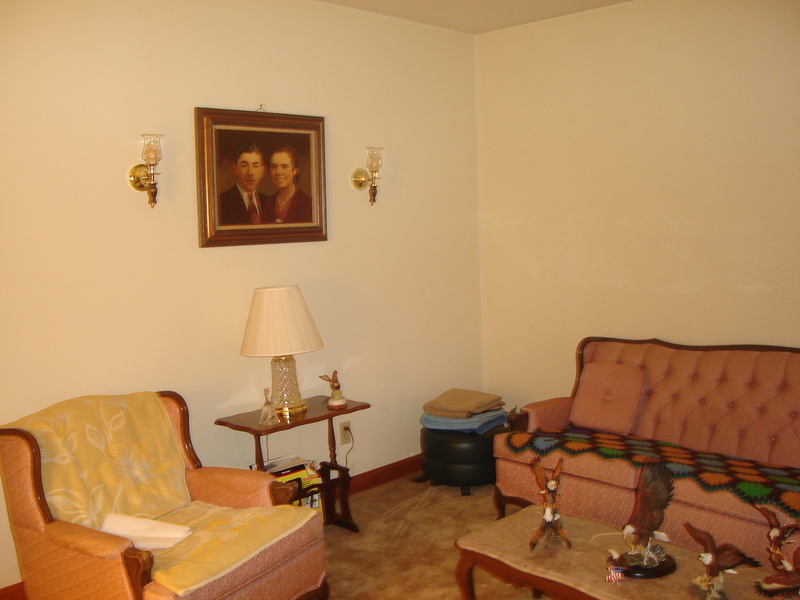 The front room where she’d sit and enjoy the Lawrence Welk Show and The Golden Girls looked the same with the exception of a new sofa and the placement of the furniture was a bit different. 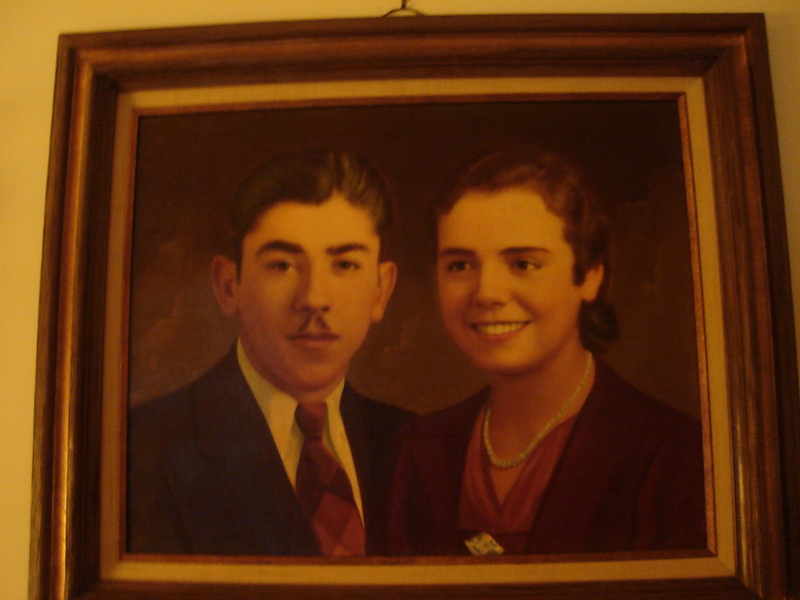 The formal parlor was precisely as it had been and a beautiful painting of my grandparents still hung on one wall. 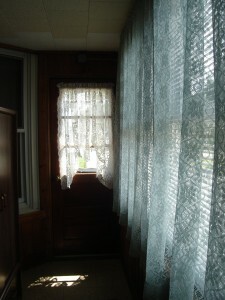 My mother lovingly walked me over to the front sunroom where my grandmother did all of her sewing. I suddenly remembered her sitting right in the corner with pins in her mouth, her sewing machine, homemade patterns, scissors, her measuring tape and my cat, Midnight, lying on the floor next to her as she made the most beautiful clothing. It was almost as if I could hear the sound of her sewing machine. 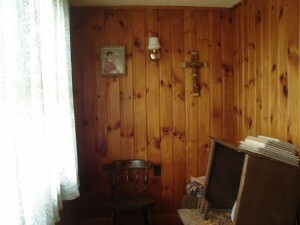 In one corner was the manger my father had lovingly made for her. My grandmother loved my father like he was her own son and he loved her like a mother. When you first entered the house you enter the living room. My grandmother loved the Lawrence Welk Show and The Golden Girls. When I was a child, there was a long window seat covered in green vinyl under these windows. I remember the many pretty plants my grandmother had on that seat. The formal living room which was always full on Christmas Eve when my grandmother welcomed dozens of family and friends into her home, and although it was her birthday, for her it was always about Christ and welcoming others. I remember her happily preparing soups, dishes and desserts weeks prior to December 24th. My favorite painting of my grandmother with my grandfather. 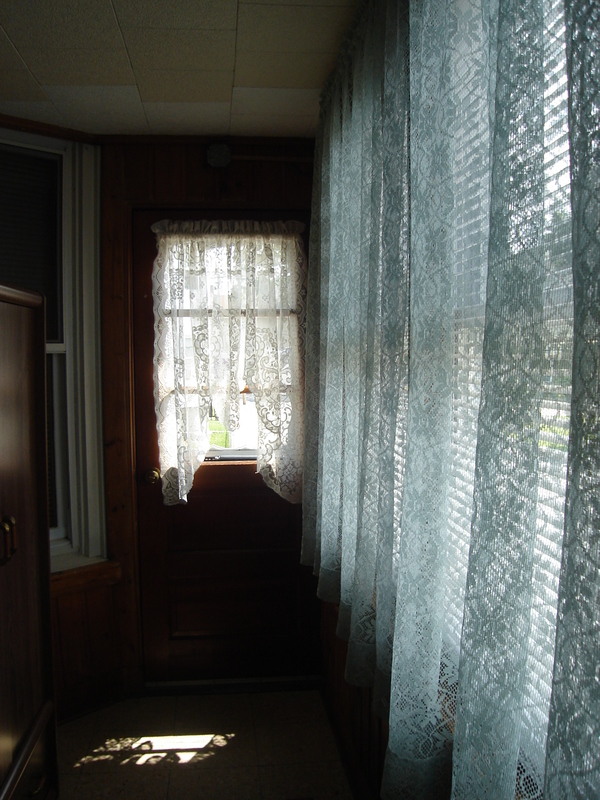 In the front of the three-story apartment house was a narrow, but well lit sun room that my grandmother used as her sewing room. In the picture is the manger my dad had built for her one Christmas so long ago. Near the porch was the entryway and staircase that led to our former second-floor apartment. This also looked the same. 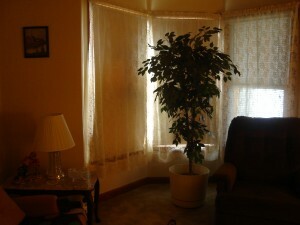 At one time we even lived in the third floor apartment which became too small for our growing family. My mother kept this entry immaculate washing the stairs and woodwork weekly as she still does today in her own home. The bathroom and my uncle’s bedroom looked exactly the same. My grandmother’s bedroom was untouched with the exception of her bedroom furniture which her husband took after her death. The time had come. I made my way down the steps of the little basement kitchen. Memories of my grandmother are almost always in her kitchen. For a moment I thought I heard the sound of her cooking and I waited to hear her say in Portuguese, “Come beautiful, sit down and eat!” Usually my thoughts include my grandmother and I enjoying Portuguese Fish and Potatoes, Portuguese Stuffing, Massa or Portuguese Sweet Bread, Tortellas, Caldo Azedo or Sour Soup, Chocolate Pudding, Spaghetti and Meatballs, or Rice Pudding (watch for this post a little later) together. I typically see myself and my Vavo seated at the little kitchen table which I did not realize was so small. In the morning, Vavo would enjoy a slice of toast with butter and a cup of tea with milk and sugar. A spread which consisted of a large, warm loaf of Portuguese Bread, a solid piece of Portuguese butter and big piece of Sao Jorge cheese was for everyone else. 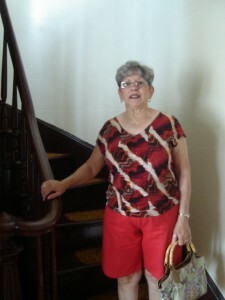 My grandmother’s Diabetes had worsened during the years and she tried to be good. 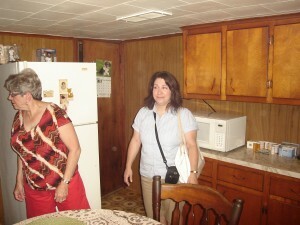 I’m getting ready to head down to what was my grandmother’s kitchen; it’s difficult to describe the emotions. As I entered the kitchen, I was deeply moved as I realized that nothing had changed. It was like stepping back in time. I looked at my children and declared, “This is exactly how it was.” Many of the stories I told them happened right there in that little kitchen and they were witnessing exactly what it looked like. My husband, Mike, who had enjoyed my grandmother’s last birthday and Christmas Eve here, was just as surprised as I was. The cabinets, Formica counters that resembled marble, the little window and checkered curtain, the vinyl gold and brown floor, even the metal plate rack still in the dry part of the sink was still there. How many times did I help my Vavo clean up after dinner to place wet plates, silverware and cups in this sink? 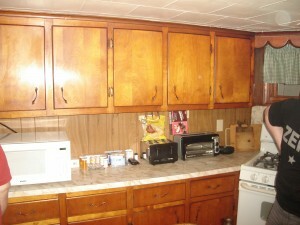 The place settings were tucked away in the cabinets and brought back many memories. One cupboard was full of coffee mugs one of which said “Grandma You’re Special.” My uncle handed it to me and said, “Elise, take this home with you.” It was in fact the very mug my grandmother drank her tea out of every morning. I remember going into the refrigerator where my grandmother always had chocolate and tapioca puddings. The wooden table still had the same croqueted tablecloth on it with a protective plastic covering. Within the basement was a door that led to the laundry room and a large area where my grandmother would store mason jars filled with fresh red crushed peppers, beans, and other foods as well as large kitchen items like pans and cookware. Hanging on a hook was my grandmother’s apron and housecoat that my uncle said he “could never move or launder.” There it hung. Seeing, smelling and feeling the material was almost like touching my grandmother. I could hardly believe my eyes. Near the washer and dryer was a wreath my mother had lovingly made for my grandmother when we moved to a townhouse in 1985. 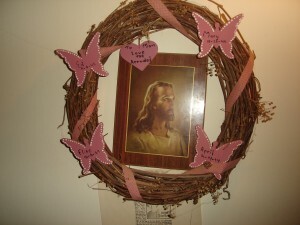 The wreath had four butterflies on it and each one was hand-painted with our names on them. Although it was difficult to go back to my grandmother’s kitchen, we were all very happy that we did…especially me. 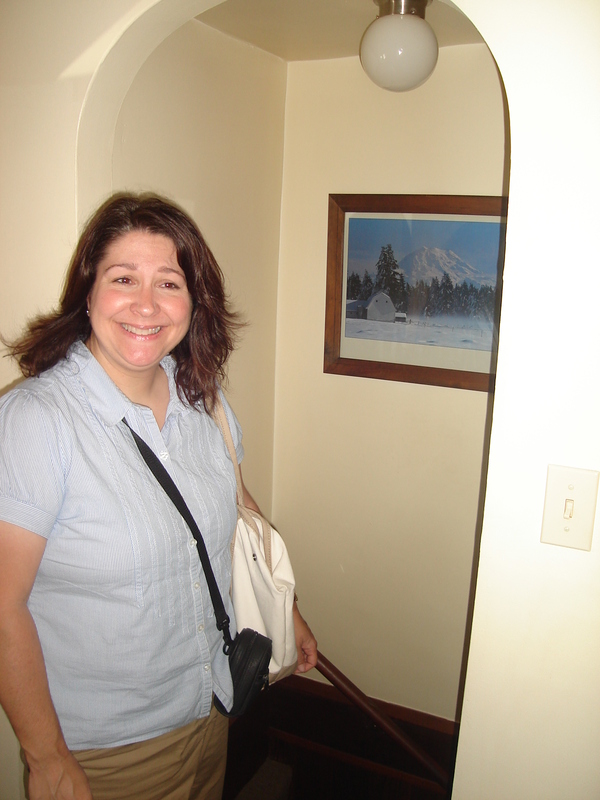 May her legacy of love and happiness live on… Mary Isabel Furtado, always loved by family, friends and strangers alike. 10 Comments on "Little Kitchen Big Memories"
This made me think of my own grandmother..and definitely made me cry! Thank you for sharing this. Blessings to you all. Elise, so happy for you – that you were able to visit her home and find it so unchanged. What a gift! Thank you my dear friend! you are correct, it was quite a gift! Elise, I always think of you when I head to Richmond St to visit my mother and I drive by your old home. As I read your article I can to remember walking up the concrete steps opening the gate for my childhood visits to your home. 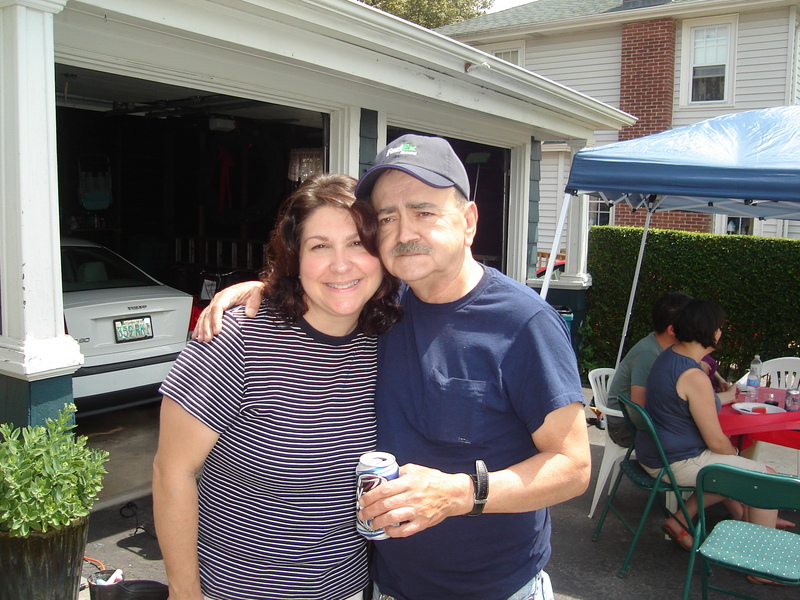 I remember your mom and dad being so nice and welcoming me and April wanting to play with us….great memories!!! Elise, you are truly blessed to have those memories Thanks for sharing. I loved how your heart had taken pictures as you were growing up. The heart only keeps what is truly important in life Elise, and your heart is overflowing! Hello Cousin Elise, It was great reading this article about your grandmother and what a great influence she was on your life and cooking career. I take it that she was your maternal grandmother. We are related on your father’s side. It was great seeing your parents in the article too. They were so close to my Mom, who recently passed away. I am glad that your parents and I were able to speak on the phone the day after she passed away and reminisce. We are looking forward to coming to the East Coast and visiting some day soon. Cousin Joey, how very nice to hear from you! I was so sorry to hear about your Mom. How much we adored her! Thank you for visiting. I am so happy to see family and friends on the site. It is one of the ways I keep my grandmother’s and family’s legacy alive! I hope to be able to visit around the same time, so please let me know when you will be visiting the East Coast. I have very fond childhood memories of my time in California with family. I still remember eating copious amounts of delicious crab in the big garage…hugs to all!